including a Breakfast Bar, Carving Station, Fresh Seafood, an Omelet Station, and even a Belgian Waffle Station! Don’t forget our famous $1 Mimosas! 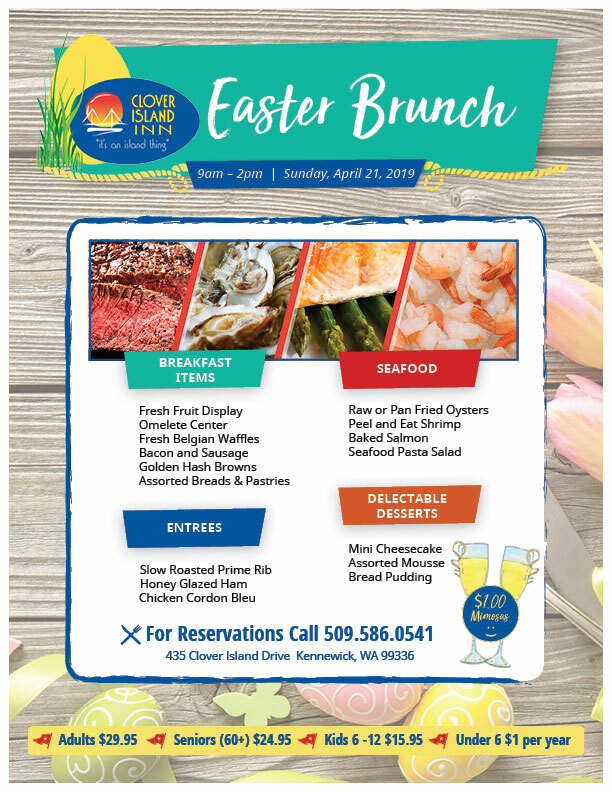 Call 586-0541 for Easter Brunch Reservations today!